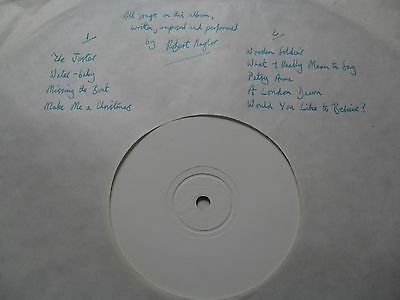 This is by Robert Naylor and is a private pressing. I have 2 copies of this LP. One is marked but has writing on the label with the names of all tracks and is dated 5/2/72 - this copy is NOT the one for sale here as it is not in as good condition. Listen to the soundclip below which plays a clip from 4 of the tracks.